Coffee and the holidays go hand in hand. 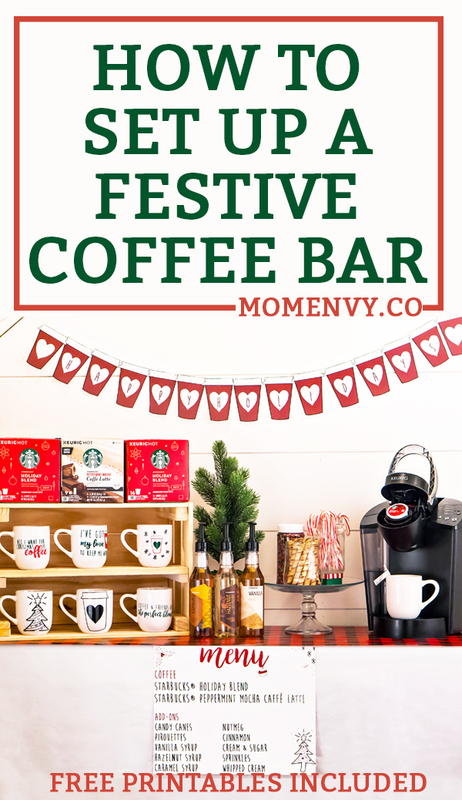 One of my favorite things to do at a gathering with family or friends is to create a festive bar. Recently I had some planner friends over for a holiday planner meet-up. Spending time with family and friends is the thing I love most about the holidays. 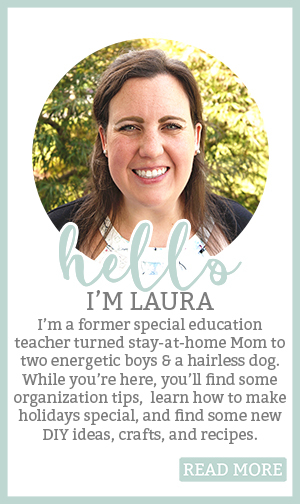 It seems like we put extra effort into finding a time to get together (which can sometimes feel impossible as a mom of littles). For the party theme, I decided to go with a coffee theme. 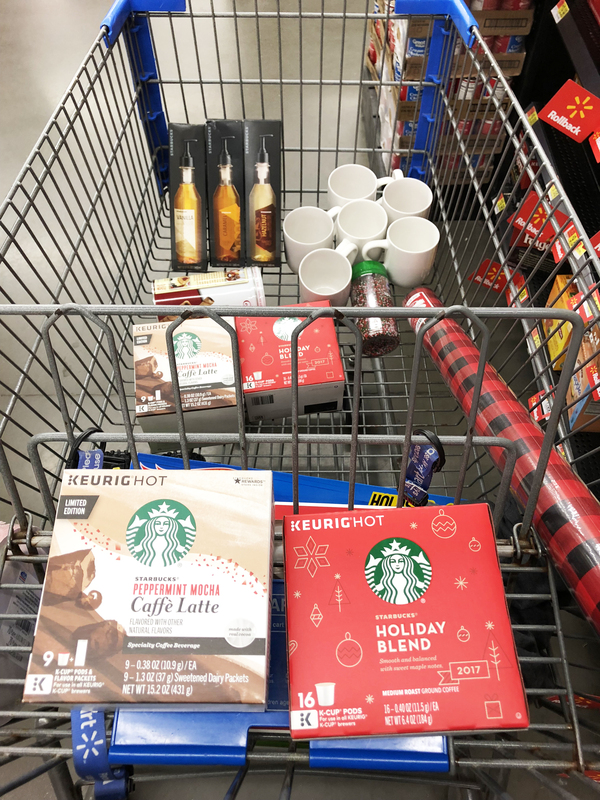 I headed over to my local Walmart to pick out to find everything I would need for my coffee bar. 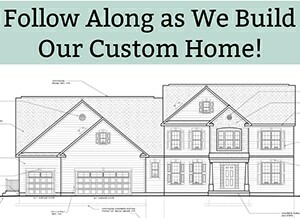 *Hover over the below image to shop directly from this post. My first stop was to the coffee aisle. 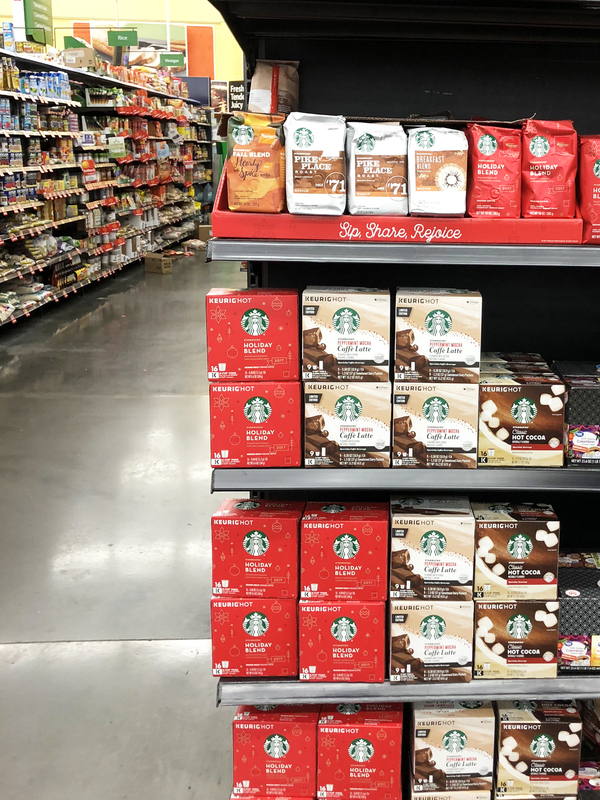 In my Walmart, the holiday-themed Starbucks® coffees are located on an end cap right at the end of the coffee aisle. Click here to preview the festive collection. 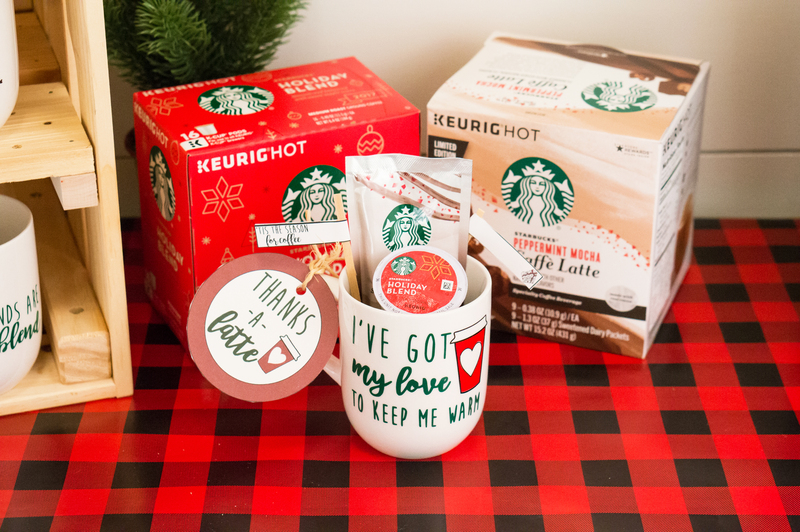 While I love all Starbucks® products, I decided to stick to holiday favorites: Holiday Blend and Peppermint Mocha Caffe Latte. Next, I realized that not all of my friends would want the same flavor so it would be best if I purchased the K-Cups®. Plus, they are way easier than making a cup of coffee. After I picked up my coffee, I decided to see what else Walmart had to create my coffee bar. I was not disappointed; they had everything I needed. I picked up some wrapping paper to use as a runner, some flavoured syrups, plain white mugs (you’ll see why later), sprinkles, and more. First, I created some custom printables. I wanted to design a space that was inviting and memorable for my friends. My friends and I don’t get the opportunity to socialize with people that don’t call them Mom much anymore so I wanted the set up to be extra special. I made a banner, food tents, coffee stirrer flags, a thank you tag for my party favor, and a menu board. They are all available to download for free at the end of this post. 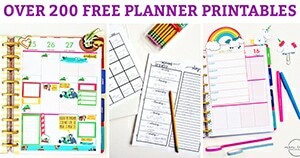 Next, I created a set of planner stickers. My planner friends and I rarely get a chance to sit down and actually plan together. I thought it would be fun to create some stickers that would match our special occasion. In addition, I created a sheet with larger files that could be used for die-cuts or stickers. They are all available to download for free at the end of this post (including Silhouette, SVG, JPEG, and PNG files). 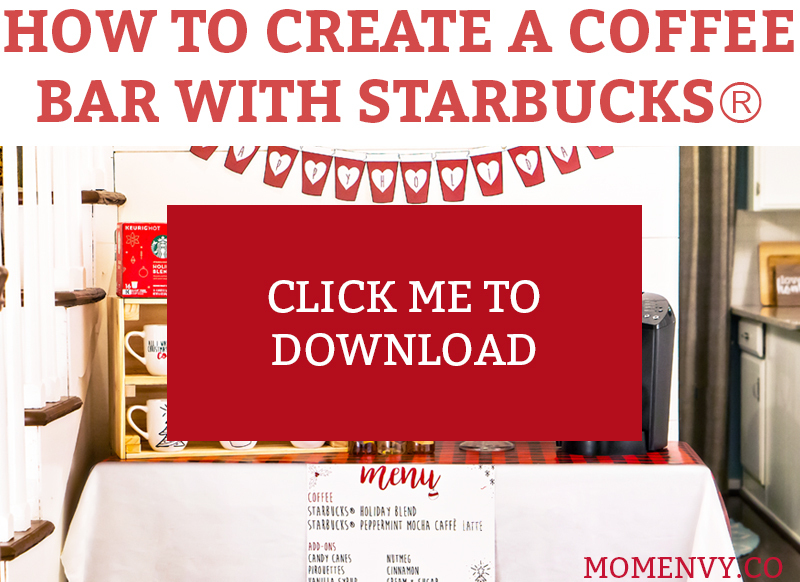 The inspiration for my printables was this year’s adorable Starbucks® cup. 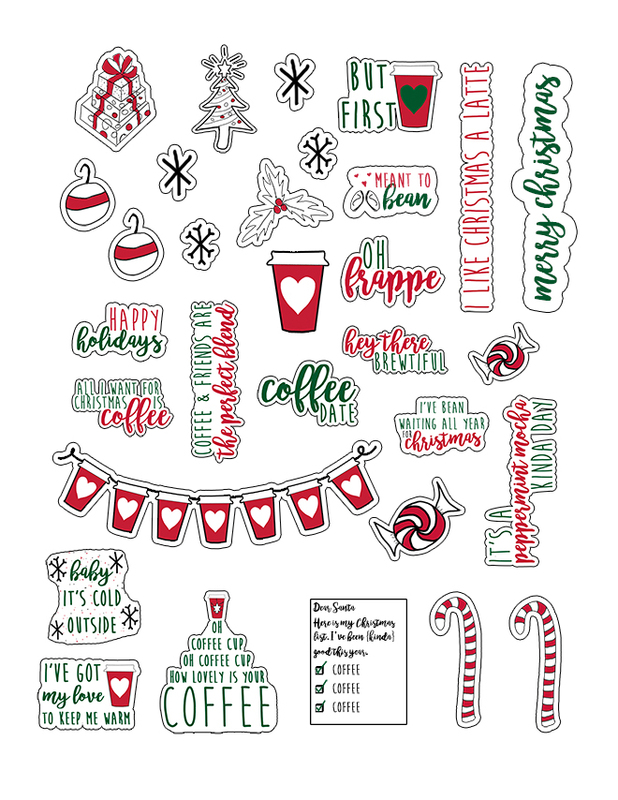 I used my drawing tablet to draw elements that would coordinate with the 2017 Starbucks® holiday cup. Next, I moved onto designing the space for the coffee bar. I gathered the items I bought from Walmart as well as some holiday decor I had on hand. 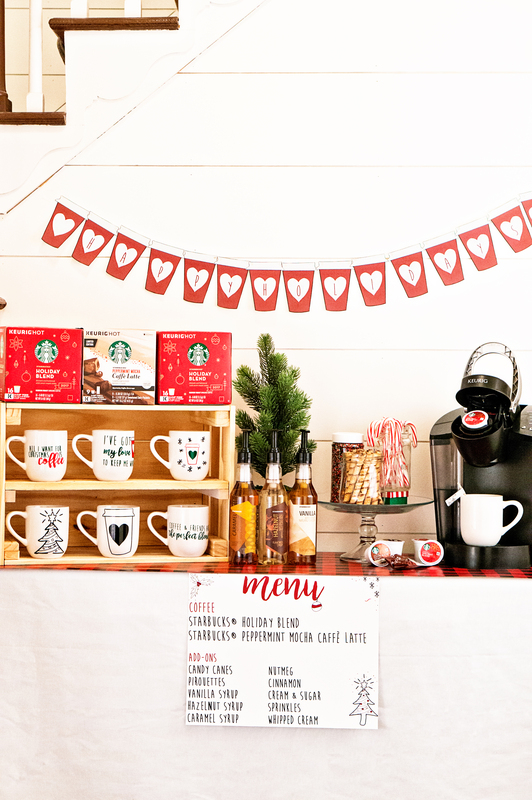 While preparing for my party, I was lucky enough to have help from my parents who made a special item for my coffee bar. 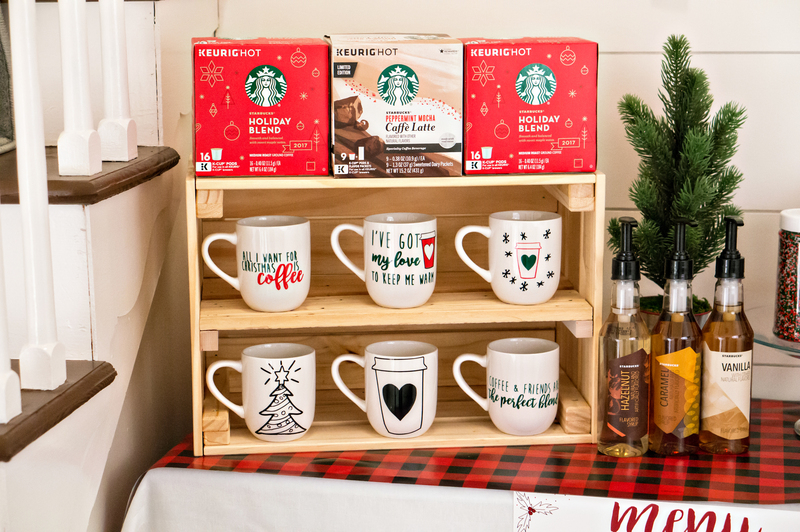 They took a standard wooden crate (which Walmart carries) and made a shelf in it so that it could be used to house my coffee mugs for the party. It worked perfectly for holding the coffee mugs and can be used again at future engagements. 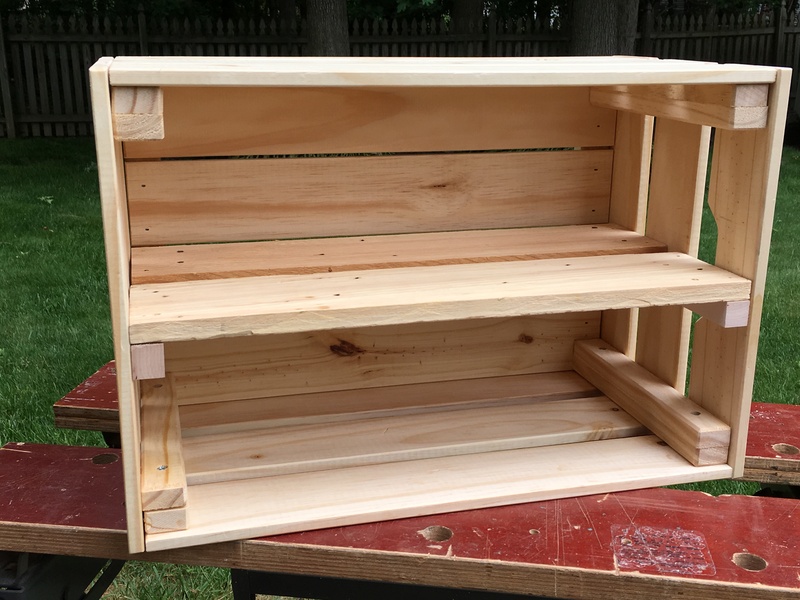 Click here to see a detailed tutorial on how to create a shelf in a wooden crate (which I used to display my mugs). Layer fabrics, wrapping paper, tissue paper, festive place mats, etc. to create visual interest with the varying textures. Use plates, serving dishes, boxes, crates, trays, and more to create different heights. It takes a boring, standard buffet set-up and turns it into a Pinterest-worthy space. 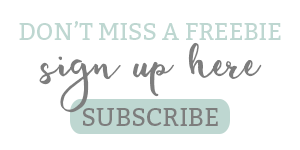 Print the free printables included or make your own banner and other paper items to add an extra special touch. Make sure your ingredients are easy to access and that your setup is functional. For example, I made sure to leave a small space in front of the coffee toppings so that my guests could place their mugs down while making their coffee. 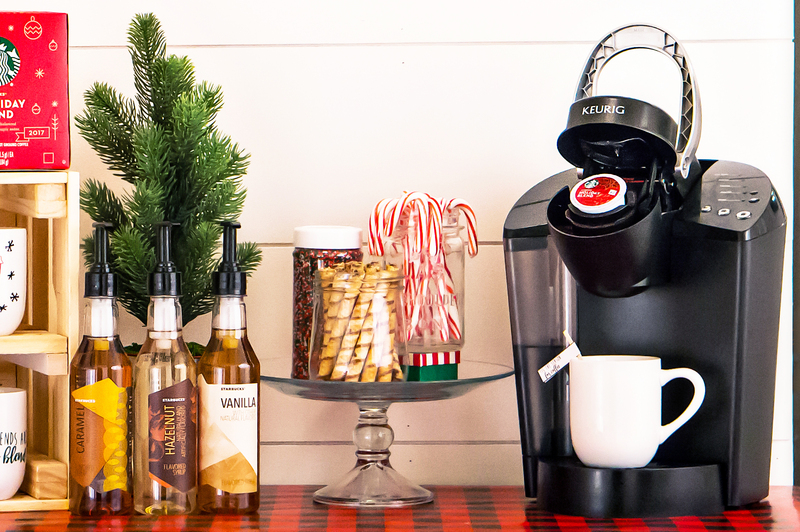 Consider using a K-Cup® coffee machine so that you don’t have to keep brewing coffee instead of spending time with your family and friends. If you decide to go with K-Cups®, have more than one flavor of coffee; not everyone likes the same thing. I suggest both the Starbucks® Holiday Blend and Peppermint Mocha Caffe Latte. 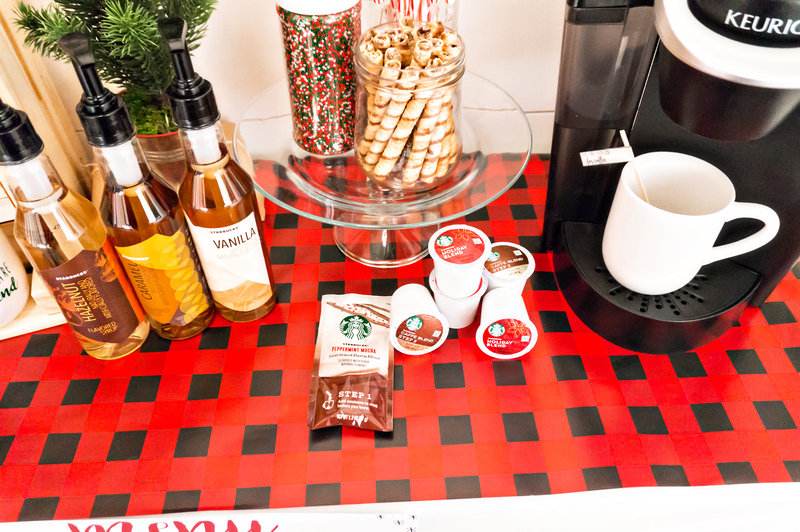 Use fun mix-ins, such as Starbucks® Syrups and Cookie Straws. Use festive decor to add special touches to your display. I used a simple tree and some coffee cups I created (free SVG’s included at the end of the post). In addition to the coffee bar set-up, I created a quick and easy holiday favor for my planner friends. I made a mug using my Silhouette machine (which can be bought at Walmart). The free SVG and Silhouette files for the mugs are included at the end of the post, as well as the Thanks a latte tag. 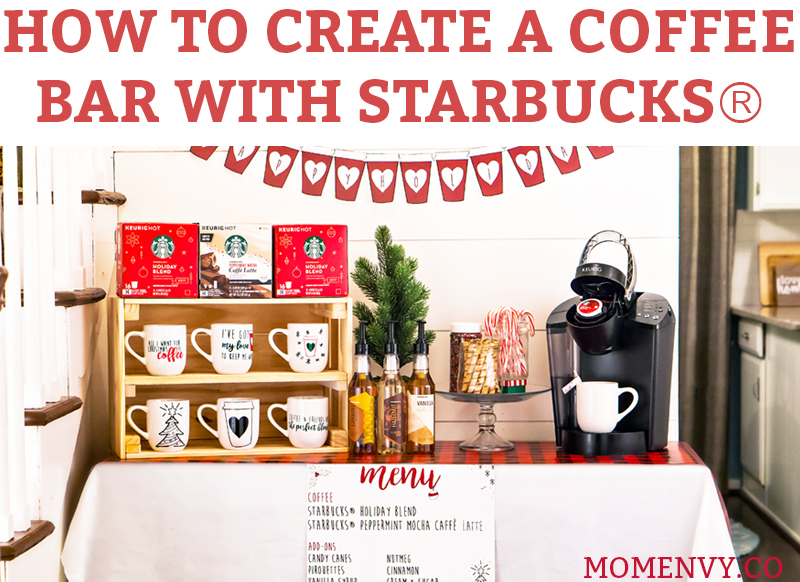 I filled the mug with a Peppermint Mocha Caffe Latte K-Cup® and powder pack as well as a Holiday Blend K-Cup®. My planner friends and I had such a wonderful time spending time together. It was such a special treat to have some “adult” time, especially when it involves Starbucks® Coffee and planners. 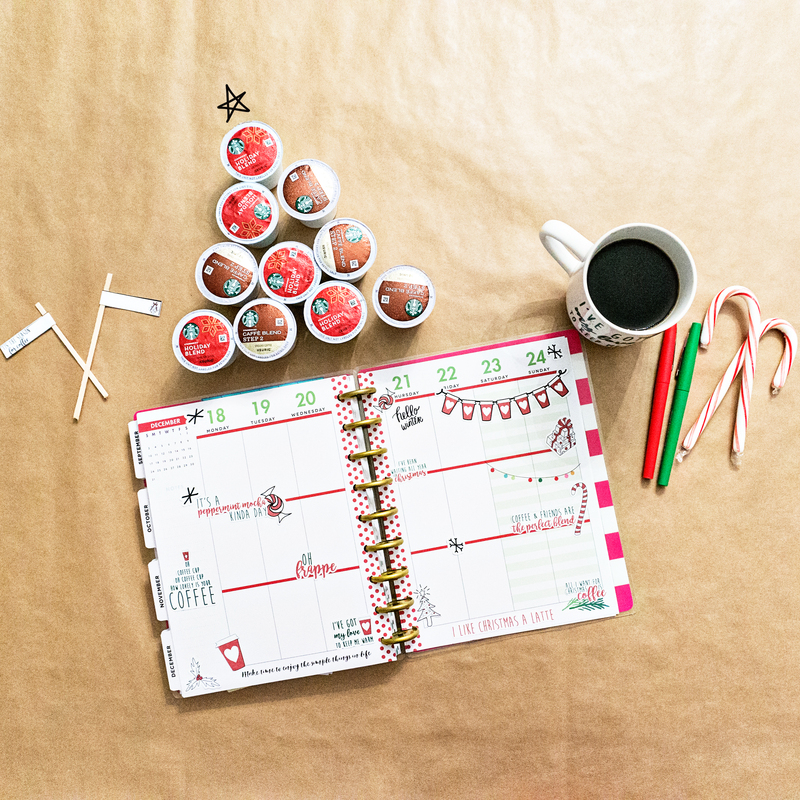 We had a wonderful morning sipping our Starbucks® Coffee decorating our planners. The holiday flavors are a perfect fit for this time of year. They definitely helped bring the holiday spirit to the party. Don’t forget, if you’re going to grab some Starbucks® Coffee from Walmart stores this holiday season, that you can earn some bonus stars. All you have to do is purchase three (3) qualifying Starbucks® packaged coffee (10-20oz. ), Starbucks® K-Cup® packs (9-32ct. ), VIA® Instant (5-8ct. ), Starbucks® Syrups (12.17oz. ), or Starbucks® Cookie Straw packs (9.17oz.) products in a single transaction at Walmart stores from 11/1/17 through 12/26/17 and receive 75 bonus stars when you upload your receipt at Starbucks-stars.com. What a cute idea and a great reason to have friends over! So when can I come over?! Also, what a fabulous idea with that crate!!! This is such a great idea that would go over well at SO many different types of events! This would be great as a hot chocolate bar too! What a great idea! 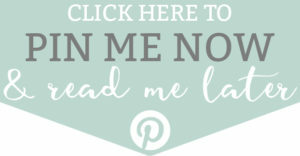 I love the printables, they are super cute! Thanks for sharing! This coffee bar is such a great idea and you made it look fantastic! I’m so inspired. Being dyslexic has it’s challenges lol ? I love this. I tried to click the link for instructions on how to make the crate but it doesn’t work. Will you be able to fix that link? Thank you. I’m so excited to try this at home to give my small space some dimension.